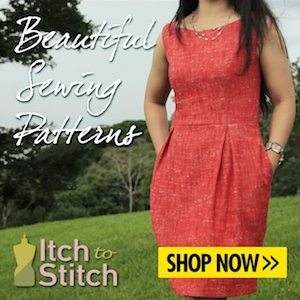 Home / Pattern Reviews / A Gingham Burda 6401 with added embroidery. A Gingham Burda 6401 with added embroidery. Happy August everyone, and the beginning of the month means that it’s time to share with you my latest make for the Minerva Crafts Blogger Network. As always my full review can be found using the link above, and this month I have been using this pretty 1″ check gingham which is available in 15 colours and is only £3.99 per metre! For a bit of fun I decided to add some machine embroidery to the cuffs and the hem. I am always meaning to use the neglected embroidery stitches on my machine, but keep forgetting, so it was good to give them a go, and I am pleased that i did. Thanks for dropping by, and I’ll see you over at Minerva for my thoughts on this dress. This is lovely as usual! The big gingham looks great. I love the embroidery you added at the cuffs too. 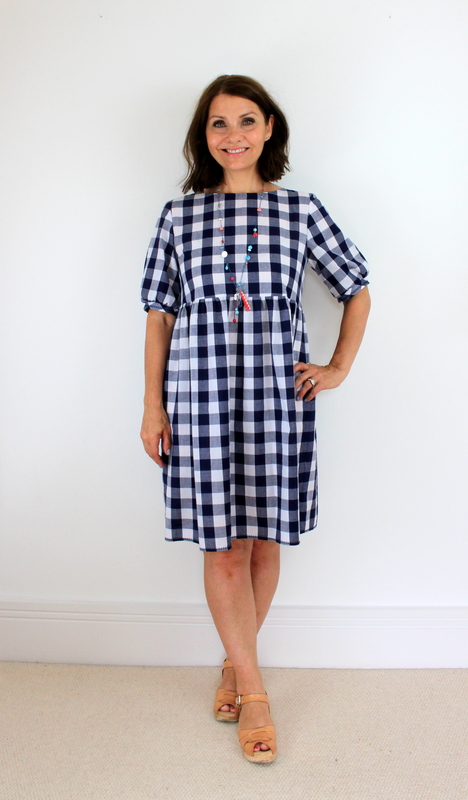 It’s lovely, I made a gingham Orla Dress very similar to this, a while ago and get so much more wear out of it than I could ever have expected!! OOo I love this, it’s like a grown up version of an old school summer dress!